Microsoft Outlook is a complex of corporate programs that contains many functions: contacts, task scheduler, notebook, calendar and, of course, e-mail client. Personal correspondence of the user is stored inside the file with the extension “pst”, and user information is placed separately in the file with the extension “ost”. These files are corrupted due to the operating system errors or hardware power failure, and the file won’t open. 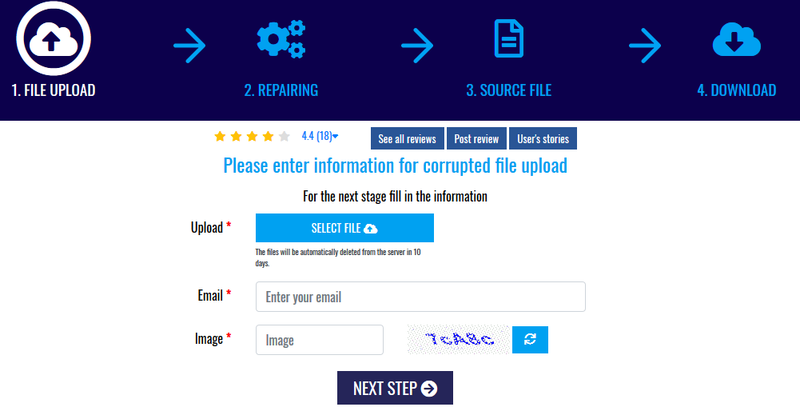 Recreate corrupted files can be specially designed for this program, among them “Recovery Toolbox for Outlook”https://outlook.recoverytoolbox.com/. 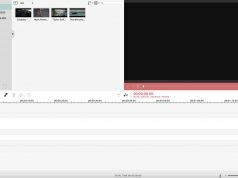 This tool also transforms files from one format to another. We offer you a detailed understanding of the work of this tool. The tool is developed for easy, understandable and convenient use by users. Returns the “pst” and “ost” files to the working state. File conversion: create “pst” file from “ost”, to transfer individual elements to other formats. 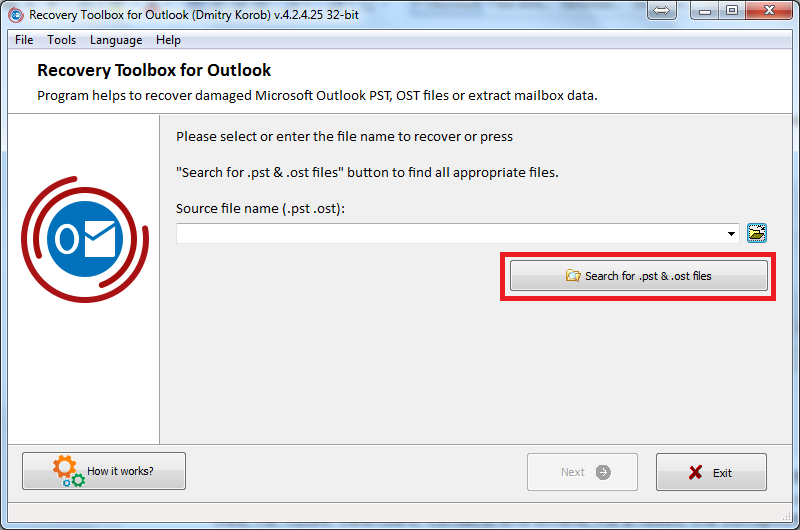 Software that provides access to Outlook files resources. What processes does it perform? 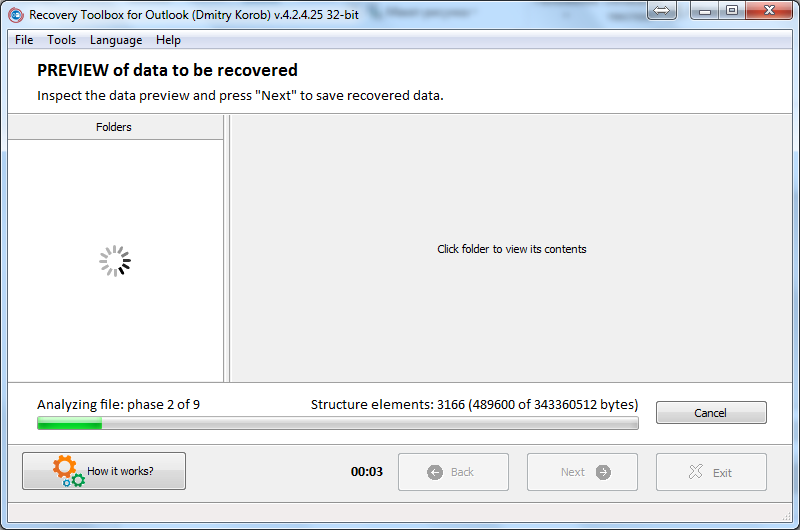 Standard Outlook recovery tool or special utilities? 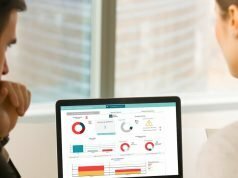 Make a finding: pros and cons of the program. User information is stored in the “OST” files of the mail client (these are cached copies of the mailbox that are located on the MS Exchange server) and “PST” (the “Personal Store folder” is a personal folder file that contains user messages that are located on the computer). If the program connects to the server or uses IMAP for messaging, additional “OST” files are included. They store the information for each account separately. Damage to synchronized copies of the mailbox not as much as file corruption “pst”. However, they must be restored if the server cannot be authorized or synchronization is not possible. Offline folder files, unfortunately, cannot be imported. To do this, you first need to convert those using special utilities. One such utility is Recovery Toolbox. However, the user can specify the path of the files themselves. Advice! 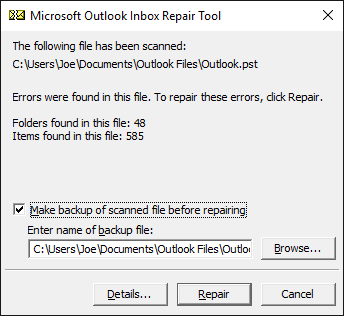 You must back up Outlook data files before you can restore them. A special place in the causes of damage to Outlook files is their size. For different versions of the program, different file sizes. If you open a large file in an older version of the program, it may not start. A first version of the client before Outlook v.2002, v.2003 — the format of the personal data folder is ANSI, the maximum size is 2 gigabytes. Outlook v.2010, Outlook v.2013 — all files is in Unicode format, the maximum size is 50 gigabytes. Therefore, the smaller the file size, the less likely the error will occur. We recommend working with files that do not exceed the size of 8 Gigabytes. If the file is damaged, the program may not open it and will show an error window. Like the licensed program, the incomplete version of the tool also analyzes the files. However, in it you can save a maximum of 5 files in one folder. The incomplete version can be converted to the full version by applying the license key. The price of a license key for home use is about 50 dollars, for business — about 75 dollars. To use the program on the network, which with the number of no more than one hundred users — 200 dollars. Do to the use of several algorithms, the tool loses a minimum of useful information when repairing files. Data integrity checks are also performed to improve the quality of recovery. At the end of the tool provides a full report on data recovery. Repair corrupted “PST” or “OST” files, and password protected. Extract and save any or all items from the corrupted file in EML, MSG, VCF, TXT format. Repair e-mail of any format, as well as attachments and folder structure (The structure of saved and repaired data, file and directory structure remain unchanged). Convert the “OST” file to “PST”. Repairs damaged in the restoration process data files by the application scanpst.exe. 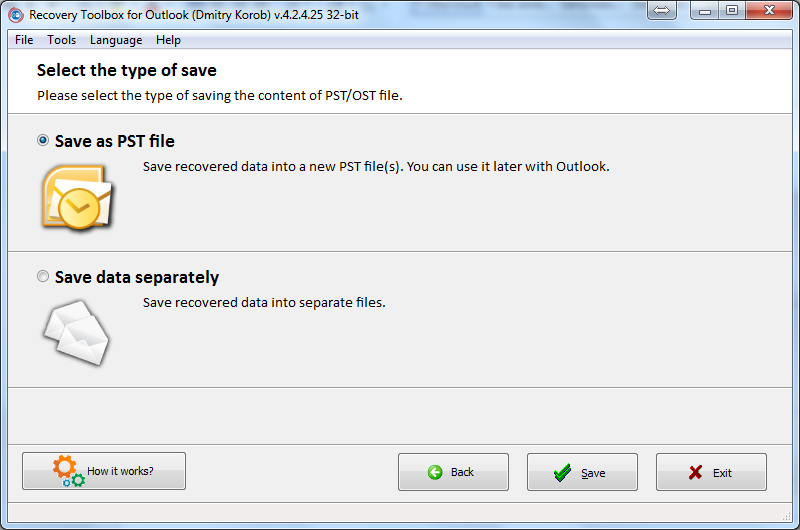 Coupled with the Recovery Toolbox, you can repair the archives of the “Microsoft Outlook” e-mail with size more than 2 GB. But it is better to perform this process on 64-bit operating systems. ScanPST or a special utility? ScanPST app is a reader of the archives of the email program. It is a free utility to recovery files. The tool can be found in the Office files folder or downloaded. for your email client v.2010 — MicrosoftFixit50569.msi. Scanning archives, the tool finds errors and fixes them. However, often, it can only cope with minor injuries. You can use this application to back up mail client files. Advice! Back up the files and then restore the data. Sometimes IRT cannot recover lose information. In this case, you must use special programs. It is worth remembering that tools like the Recuva tool often do not help. It does not change or restore the data structure. Losing your emails and contacts is frustrating. After all, they may contain the necessary and valuable information for the user. This is especially unpleasant when a failure occurs during operation, in this case, you can lose some data due to incorrect termination of the program or the operating system. After installing the tool, select the required corrupting data file. To return the file to its original state, the user must enter a file name and click start. If you have multiple personal pages, you can select one from which to extract information. If the personal information page is in multiple files “pst”, for processing, it is necessary to select a single file. You can restore any “pst” file from the disk. If you have one profile with one file, it will be immediately presented in the input line. 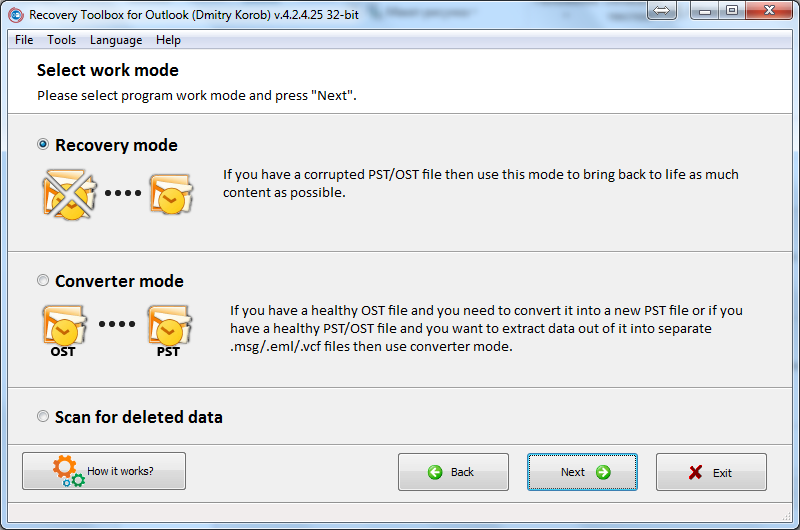 Function to rehabilitation “pst” or “ost” files. 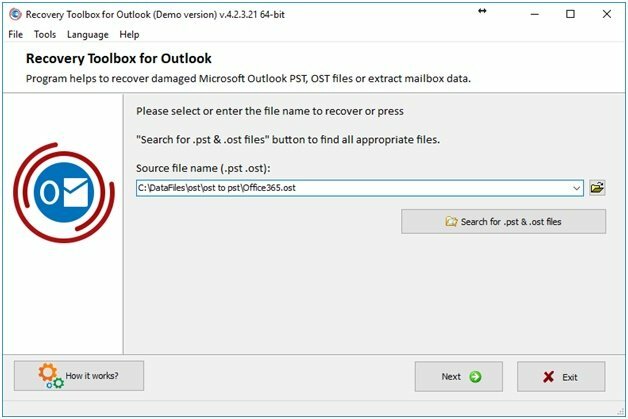 Convert entire “ost” files to a single “pst” and import its contents into Outlook, extract the contents from the mail client files in MSG, EML, VCF formats. Search mode for deleted emails/contacts/appointments and so on. When you select the first function, the tool analyzes the selected file. The duration of the analysis depends on the file. The longer it is, the longer the process takes. After the analysis is complete, you will see a window with the results. Here you can create a new file or specify a Directive to save its contents. You have two options for saving: by selecting save “separately”, you can choose a file format. But this format can be chosen only for letters. When searching for lost files, the utility analyzes the contents of the “PST” file. It is worth noting that overwritten files will not be displayed. 4. 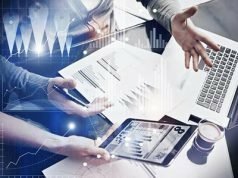 Make a finding: pros and cons of the program. Lightweight and easy to operate. Conversion of mail client files. Search, restore, and extract files or folders. 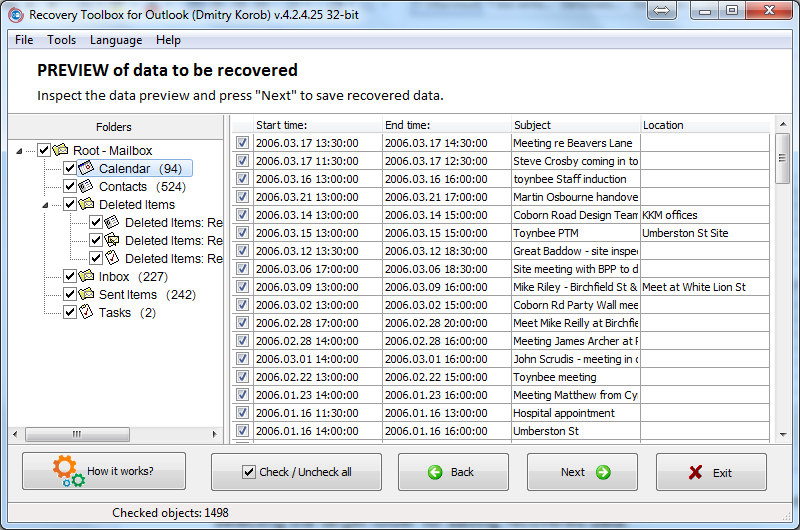 Rehabilitation of files in the demo version is limited in number-a maximum of five objects in a folder. Even a child can cope with the Recovery Toolbox. The rehabilitation program of the files that the mail client will be provided urgent assistance in a difficult situation. The cost of the application $50 for the license will be able to overpower each person. By using the non-activated version, the user will be able to decide whether he needs a licensed program, whether he needs to buy this tool. However, it is worth remembering, there is no guarantee that you will be able to recreate absolutely all lost or damaged files. Try to back up your email client database at all times.